David Lincoln Ross is an expert writer on food, wine, spirits, travel and all things luxury. 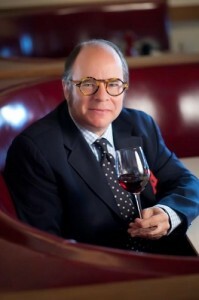 A talented speech writer and independent business and lifestyle journalist, his work has appeared in such online and national publications as http://www.thedailybeast.com, Cigar Aficionado, Food Arts, Forbes FYI, Fortune, Gourmet, Le Monde, Saveur, Somm Journal, Tasting Panel Magazine, Time, Wine Country Living, and Wine Spectator, among others. Current journalism, editorial consulting and speech writing projects include work for Frederick Wildman and Sons Ltd., The New York Times Sunday Magazine, (see links for both on home page), and the Wine Enthusiast magazine. Twenty years ago a small group met together and discussed the idea of reconstructing an exact replica of L’Hermione. Now it is almost completed – originally one of the most authentically built Tall Ships ever. Meantime, the idea grew that L’Hermione should sail to the USA – bringing to life the voyage made by LaFayette in 1780 and re-affirming the historic relationship between the United States and France. L’Hermione’s first voyage will take her across the Atlantic – voyage 2015. David is also an established marketing communications specialist for leading US and global wine and spirits companies, including Bacardi USA, Champagne Dom Pérignon, Constellation Brands, Kobrand Corp, Marnier-Lapostolle USA, Moët Hennessy USA, Pernod Ricard USA, Southern Wine & Spirits of America, Inc., and Frederick Wildman and Sons, Ltd., among others. A recognized authority on Armagnac, France’s oldest brandy, David was inducted into the Compagnie des Mousquetaires d’Armagnac, an international society of Armagnac lovers, in 1993, and, in 2012, was interviewed on Heritage Radio Network about all things Armagnac.